In a show of sympathy at the barbaric and senseless killing of an innocent member of the Verulam community in Durban, the President of the Muslim Judicial Council (SA), Shaykh Irafaan Abrahams, and his deputy, Maulana Abdul Khaliq Ebrahim Allie, travelled to Verulam on Monday night 14 May 2018. The MJC delegation was warmly welcomed by the leader of the Shi’i community, Maulana Aftab Haider, and other members of the community. The president of the MJC expressed concern and condemned – in the strongest possible terms – the desecration of the Imam Hussein (AS) Masjid and the burning of the Noble Quran and Islamic literature. The leaders expressed the absolute necessity for tolerance and peace in all our communities, and that the incitement to violence, hate and intolerance, due to our different ideological and religious viewpoints, are unacceptable in Islam. They also felt intolerance and hate to be unacceptable within a pluralistic society like South Africa, where freedom of association and belief is guaranteed by the Constitution. 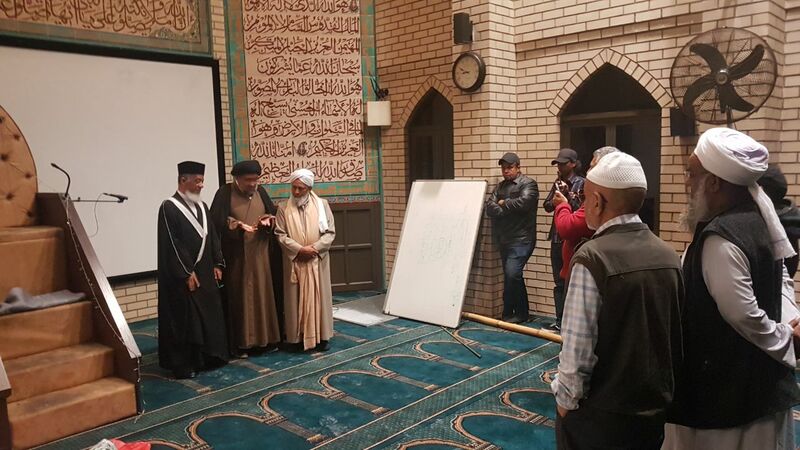 It is common fact that historic differences between Shi’ah and Sunni do exist within the community, and in a very matured and conciliatory discussion, the leaders acknowledged that this should not lead to hatred and violence used by elements who seek to divide our communities along sectarian lines. After a productive meeting, the MJC delegation visited the home of the deceased and expressed condolences with the widow and the family.